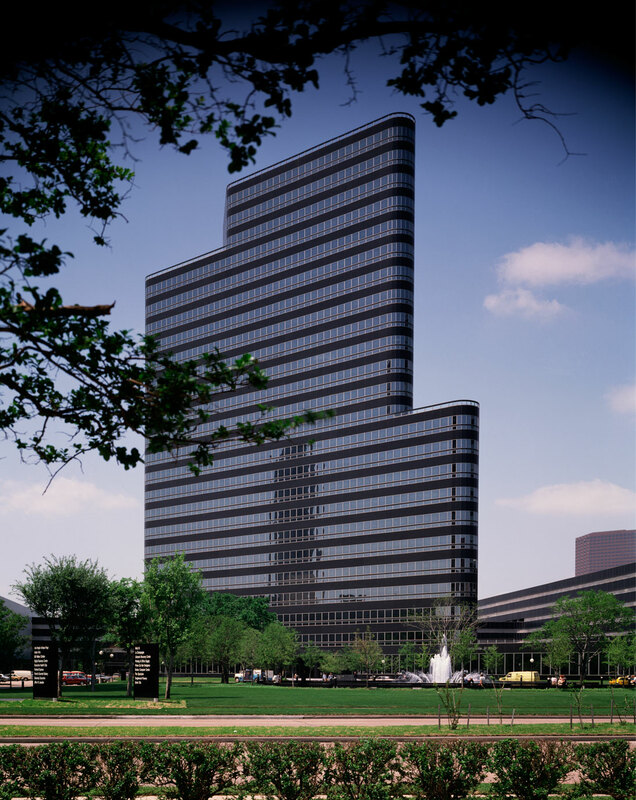 The Post Oak Central complex is comprised of three office towers totaling 1.3 million square feet. The complex includes One Post Oak Central, completed in 1975; Two Post Oak Central, completed in 1979; and Three Post Oak Central, completed in 1982. Wide and narrow alternating bands of silver reflective glass and charcoal anodized aluminum make continuous-curved corners creating its prominent architectural profile. The 17-acre business and retail complex also includes a 90,000-square-foot retail center and parking for 4,200 cars.